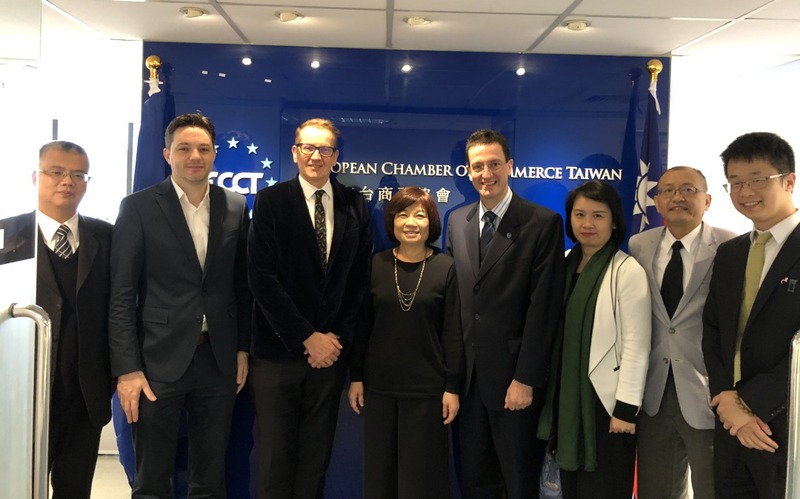 A government delegation, led by Dr Chen Mei-lin, Minister of the National Development Council (NDC), visited the ECCT office. The NDC delegation included Director-General Connie Chang and Executive Director Lin Chih-hsien. 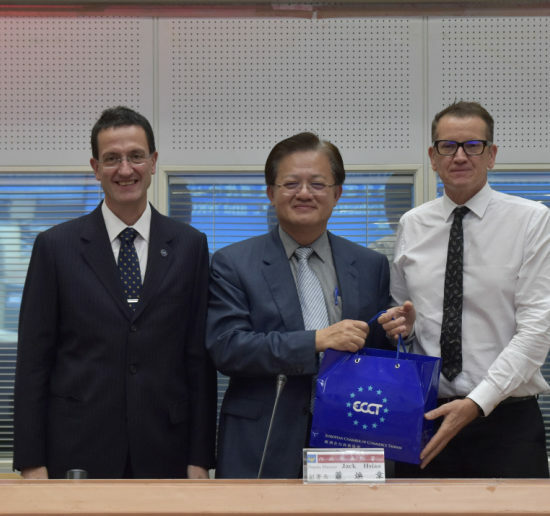 The NDC delegation was met by ECCT CEO Freddie Höglund and co-chairs of the three ECCT committees: Howard Shiu, Co-Chair of the Human Resources committee; Tim Berge, Co-chair of the Better Living committee and Matthias Bausenwein, Co-Chair of the Wind Energy committee. At the meeting, delegates discussed issues of pressing concern to ECCT members including recent developments in wind energy policies. They also discussed progress made on issues raised in the ECCT’s 2019 Position Papers, such as the number of format of Alien Resident Certificates and Human Resources issues. It was a productive meeting and delegates agreed to remain in frequent contact to follow up on the issues raised at the meeting.